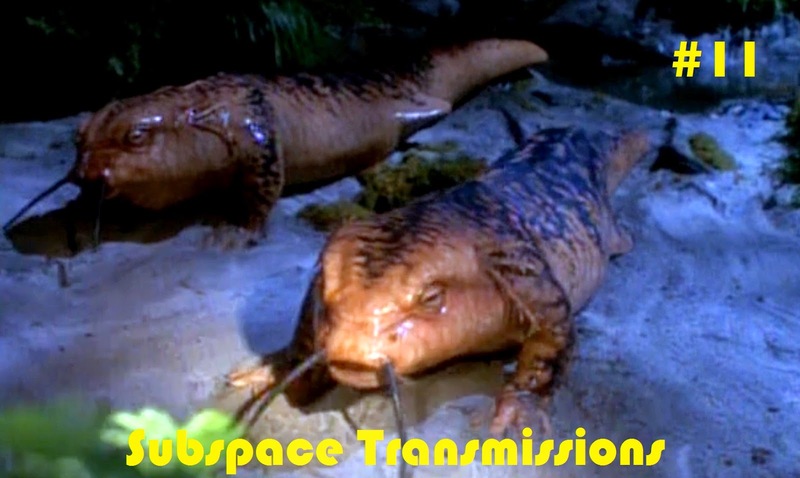 Subspace Transmissions: A Star Trek Podcast: EPISODE 11 - "BIGGEST WTF MOMENTS"
EPISODE 11 - "BIGGEST WTF MOMENTS"
You wanna get nuts?! Let's get nuts! Join Cam Smith, Benjamin Yong and Tyler Orton in this brand new madcap, daffy installment in which they attempt to comprehend some of the craziest creative decisions in the history of Star Trek. Wanna hear about puppet-wielding man-babies, or sinister circus clowns played by members of Spinal Tap? We gotcha covered! And, just to add to the fun, the trio analyze the bizarre love life of everyone's favorite Klingon security chief, as well as finally deal seriously with the ramifications of Ferengi cross-dressing. Pull up your space-bootstraps, cuz you're in for one mighty kooky ride! Wanna appear on the show? Shoot us a 30 to 60-second audio clip letting us what you think The Biggest WTF Moments are and you could take the spotlight in an upcoming program! You can also send any other questions, topic ideas or feedback to subspacetransmissionspod@gmail.com! Godspeed each and every one of you! EPISODE 10 - "CREEPIEST EPISODES"